Most arrests for DUI in Los Angeles don’t make the headlines. That’s actually good, because it means that the driver did not kill anyone, injure anyone seriously or cause extensive property damage. • A judge in Springfield, Massachusetts, revoked bail for a woman accused in an August crash that left a 16-year-old paralyzed from the chest down. The court had initially released Jomaris Colon on $2,000 bail. 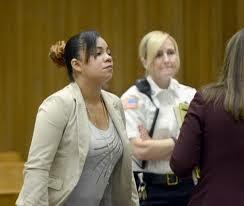 After Colon’s second probation violation, a judge ordered her back to jail for at least 90 days. MASS Live reports that the victim, Alex Scafuri, had been skateboarding home from his school’s volleyball tryouts when Colon hit him. The 26-year old driver, who didn’t have a license, allegedly fled the scene after the accident. The prosecutor claims to have videos from various stores that day that show Colon making alcohol purchases. Meanwhile, MASS Live website reports that Scafuri’s family is performing the painful task of clearing out all of the sports equipment that the teen will no longer be able to use. • In Lakeside, California, police arrested 33-year-old Joel Joseph Silva for felony DUI and gross vehicular manslaughter after he struck a woman walking along a street near Lindo Lake County Park. Kimberly Eakin, age 34, died at the crash scene. Police believe Silva may have been under the influence of prescription drugs and may have fallen asleep at the wheel. • Jacob Jamarillo, age 23, ran a red light on the I-25 frontage road near Albuquerque and struck another vehicle. He killed all three people in it–Roberto Mendez, 27, Sergio Mendez-Aguirre, 23 and Grace Sinfield. Police said Jamarillo admitted drinking before the accident and failed field sobriety tests. Gross Vehicular Manslaughter While Intoxicated (Pen. Code, § 191.5(a)) is an obviously incredibly serious charge. The concept of “gross negligence” is a pivotal component of the charge; prosecutors must show that the driver acted in a highly negligent or careless manner that a reasonable person would have known was dangerous.